With only 33.8% of UK voters taking part in these elections, the issue of voter apathy must be examined. Is it a political act of defiance? Is it ignorance at the system? Does it indicate that alienation from the political system is so entrenched that voting, political parties and representative democracy are all seemingly a pointless charade? As the final results come in from the European elections with UKIP having done well, as they did in some parts of the local elections, these questions seem to have taken on added potency. It is difficult to take Brand entirely seriously in many respects. 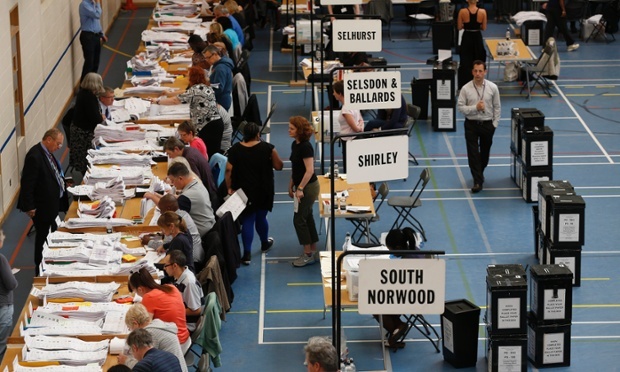 Of course, it could be contended that the low turnout in some boroughs may indicate disaffection with the political system and specifically the political elite that seek to govern us. Though I do find the idea of a white man discouraging voting rather difficult to stomach. Tell it to the suffragettes who fought for this fundamental right or the black South Africans voting in a post-apartheid country. Choosing not to vote may be a democratic right, indeed demonstrating political defiance is a fundamental feature of democracy, but it is only part of the picture. As a woman of colour, my lived experience is surviving the impact of structural inequalities. I experience it in the everyday micro-aggressions in a white man’s world and I do not have the privilege of being a bystander. Voting is the very least we can do as active citizens but even this does not give us a ‘get-out’ clause from fighting injustice every day. Indeed, as people of colour, our fight must be harder; we must utilise every civic structure at our disposal because structural change requires a systematic fight at every level and in every sphere of society. We just cannot afford to be passive bystanders. Political parties may be far removed from our everyday life but that is why we must affect change at the grassroots. Indeed the local council elections in London demonstrate that the local does matter. UKIP were set to make in-roads in London but local activism was critical in holding this scourge at bay. Croydon and Hammersmith and Fulham are just two boroughs that Labour took hold of as result of determined canvassing on the ground. We must also remember that the BNP were laid to electoral rest in the local elections in 2011 in the borough of Barking and Dagenham after a concerted effort by Labour activists. Localism matters, make no mistake. And to those that say elections are pointless and all the political parties are run by white men from Oxbridge who do not represent us, I say, what will you do about that in your local community? Political parties are only part of the political discourse. Taking on school governor posts; getting involved in trade union activity and housing associations boards; volunteering; becoming trustees on the boards of local charities; blogging; lobbying MP’s and councillors are just some of the ways we can look to become civically engaged. If we accept that racism is institutional and structures must be fundamentally challenged then we must become a robust opposition wherever the opportunity arises. There is no place for silence, indeed all this does is provide tacit legitimacy to racists who seek to wrestle democratic positions for their own gain. Let us use the opportunity of the elections as a catalyst to do something bigger. A movement for change where our activism should seek to influence every sphere of life. The national elections in the UK next year will be another decisive step in terms of whether we let the Right take hold or show we have the political will and appetite to fight our corner. Let’s make the black vote count. I, like Russell Brand, have never voted. Since my early adulthood I’ve subscribed to the view forwarded by the Nation of Islam, that voting is like choosing between the Devil, Lucifer or Satan, and all the main parties are the same, just wearing different colour ties. 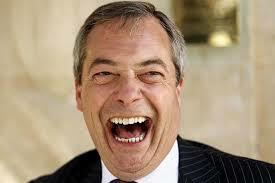 But with the rise of UKIP, I am wondering if its time to reconsider my view. Thanks for your contribution to the debate Huma. I just don’t think we can afford to be complacent. So voting is a start but not the end. local activism is what makes the difference.